"CyberPoint is one of only a few agile companies that can both meet security demands of today and perform the cutting edge research to attack the growing problems of tomorrow. We look forward to partnering together to forge innovative, game-changing solutions." COLLEGE PARK, MD., AND BALTIMORE, MD., - The University of Maryland (UMD) and CyberPoint International, LLC, (CyberPoint), today announced a new partnership to establish collaborative activities in cybersecurity. The partnership will promote cybersecurity education and research through the Maryland Cybersecurity Center (MC2). UMD and CyberPoint will leverage each other’s resources, expertise, and unique perspectives to develop innovative cybersecurity expertise, educational opportunities and research-driven solutions to cybersecurity challenges. “We are thrilled to develop this new partnership with CyberPoint,” said Dr. Michael Hicks, Director of MC2 and Associate Professor of Computer Science. 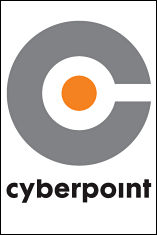 “CyberPoint is one of only a few agile companies that can both meet security demands of today and perform the cutting edge research to attack the growing problems of tomorrow. We look forward to partnering together to forge innovative, game-changing solutions,” added Dr. Hicks. MC2 is forging alliances and partnerships between academia, industry and government to deliver advanced educational programs that will prepare the cybersecurity workforce of today and tomorrow. UMD researchers are applying their expertise in a number of critical cybersecurity fields, including, secure software, supply chain risk management, wireless and network security, attacker behavioral analysis, and the economics of cybersecurity. MC2 stresses comprehensive solutions to cybersecurity education, research, and technology development by bringing together experts from computer science, engineering, social sciences, economics and public policy to establish interdisciplinary cybersecurity initiatives. CyberPoint is committed to bringing its industrial cybersecurity expertise to government and academia through interdisciplinary collaboration. A strong corporate research program has been an integral of part of this commitment since the company’s inception. CyberPoint’s core competencies in enterprise software development, embedded development, security analysis, reverse engineering, network engineering, information assurance, system engineering, and policy consulting all address the challenges of improving security and privacy in cyberspace. Its research team of mathematicians, physicists, electrical engineers, computer scientists, and biologists collaborates with partners to solve hard problems and advance the state of the art. The company’s research focuses on applying mathematics and statistics, program analysis, machine learning, and high performance computing to challenges arising from the volume, velocity, and complexity of data in the cyber domain. CyberPoint also collaborates with international partners to identify and adapt innovative technologies from around the world to meet the continually evolving challenges of cybersecurity.